This was a craft my kids enjoyed doing, and get to keep enjoying each time they put on their aprons. 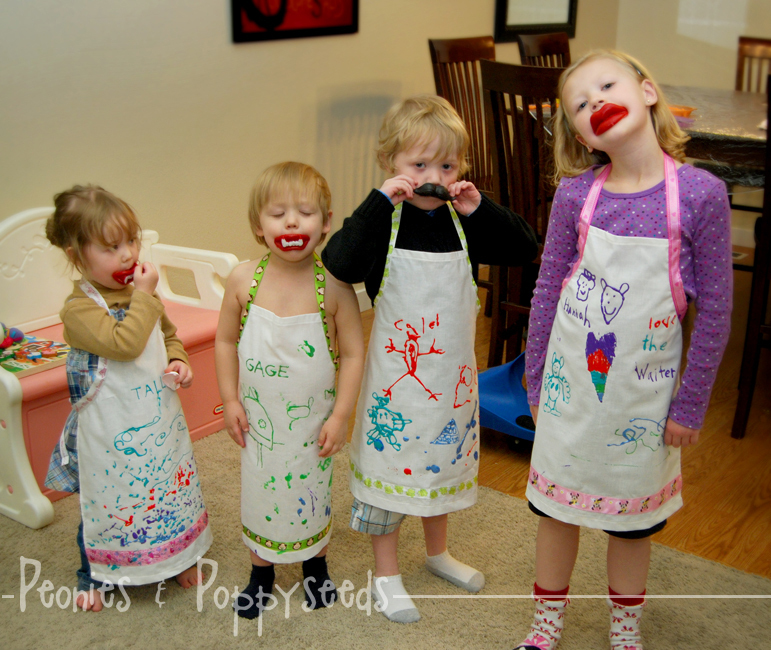 Basically, all you need is a kid sized apron, some fabric paint, and somewhere safe for kids to get messy. 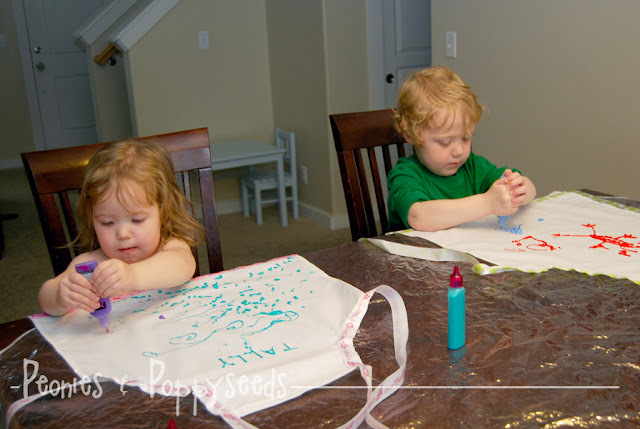 I made my kids aprons, but you can get them for super duper cheap on Amazon (had I known they were so cheap beforehand I probably would not have made them). The fabric paint was fairly cheap too. Or you can use fabric markers if you don't want to subject your home to little painters. 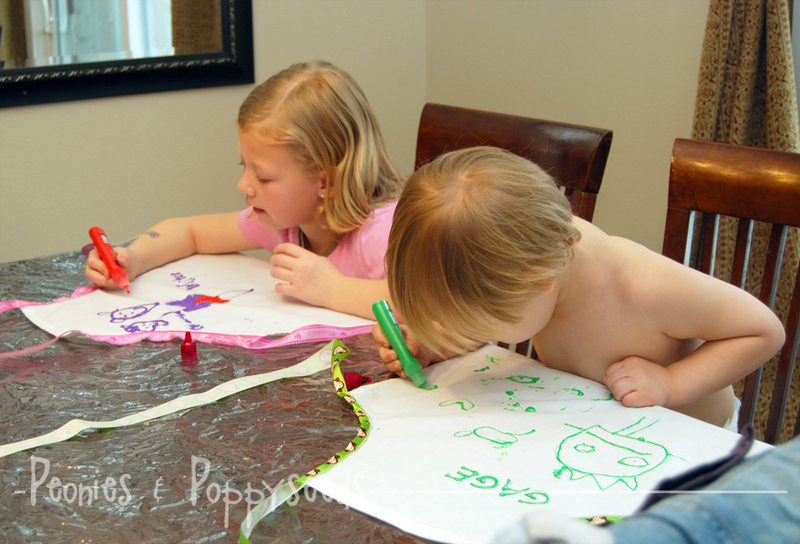 You'll notice that some of my kids had to be naked for this activity because fabric paint is just one of those things that require toddler nakedness. 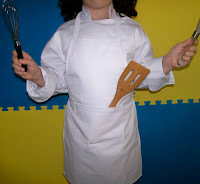 All you have to do is let the paint dry while keeping your aprons flat, and then you can wash and wear them to your heart's content!